Art And Culture by Nitin Singhania downloaded version notes for UPSC, IAS, IES. Nitin Singhania is the author of Art And Culture who provides best notes according to candidate requirements. Nitin Singhania holds a Master degree in Economics. He has deep knowledge of Art and Culture. CAREER LAUNCHER -2018 -Prelims Test Series-Test(1-10) is best notes FOR IAS, UPSC EXAM PREPARATION. These test series are conducted by Career Launcher. These notes are included last 10 test series. These notes are given a solution, answer key and description in this test series. FORUM IAS -Prelims Test Series 2018- Test(1-10) are described total 10 series with answer key. 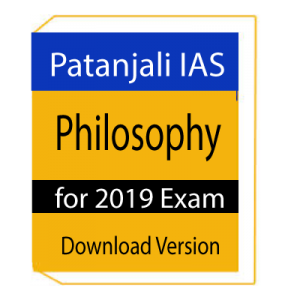 This test series 2018 is best for IAS exam preparation. This test series is conducted by Forum IAS. FORUM IAS -Prelims Test Series 2018- Test(1-10) is best for practice IAS exam. For inquiry and talk you can go along with us our whatsapp gather such a large number of understudies are as of now gone along with us you can likewise join at 8130802212. Judaical Service and Law Optional by Ambition Law Institute downloaded version is describe two part Paper-I and Paper -II. The first part is divide two part Constitutional And administrative law , and International law . Constitutional And administrative law is describe topic like us Ombudsman and Separation of Powers And Constitutional , etc . International law is describe topic like us Relationship Between International Law and Municipal Law and Law of the Sea etc .